About the Author: Emmanuel Kosamu Mulwabo has worked as a development agent in rural Zambia, working with community based projects using participatory methodologies. He has had a lot of input into the distance education programme at the University of Zambia. He is currently a lecturer at the National College for Management and Development Studies, where he is also a programme co-ordinator. Emmanuel also takes part in consultancy work in environmental matters. The volume of the book far surpasses the content. It is worth being on your shelf. 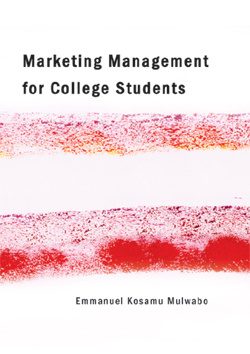 Lack or depth in reading literature on Marketing will be addressed by the availability of this book. The author's manner of approach and writing makes the book valuable as students do not need to make through unnecessary detail, as the writing is pertinent and brings out vital points.